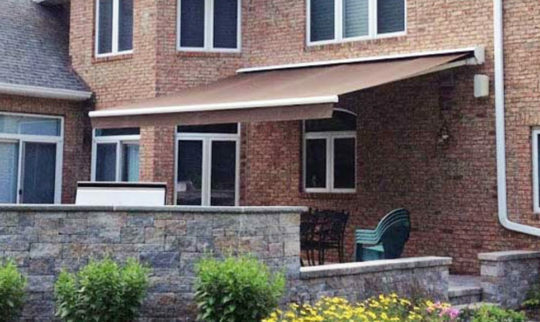 We design, install and service virtually every type of awning. Want to create an oasis in your own backyard with a coordinating retractable awning, market umbrella and custom patio cushions? Need an easy, portable privacy screen between you and your neighbors? Looking to boost your business’s curb appeal with attention-getting graphics? We can do all of that. Or do you need some expert assistance in determining what you need? We can help. With the push of a button, you can either provide shade or enjoy the sun. 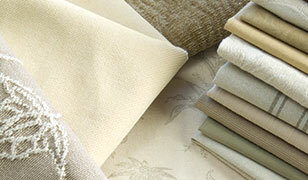 Our comprehensive line of products includes Durasol—the industry-leading brand. Decorative storefront awnings are eye-catching, durable and functional. They can be customized with graphics and designed to fit your branding. With its rain management system, this retractable fabric shade structure is completely waterproof, and combines the beauty of a pergola with the flexibility of a retractable awning. Enjoy instant shade and protection from inclement weather with the touch of a button. Add motorized or manually operated solar shade screens to create a completely retractable enclosure. Do you have a pergola that doesn’t provide the level of protection you need or hoped for? The perfect addition to add visual appeal to an outdoor space, enjoy a covered pergola whether you’re dining al fresco or enjoying time in your own backyard. 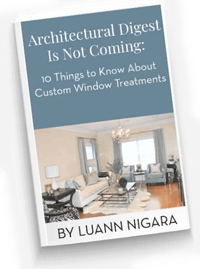 Is your outdoor dining space uncomfortable and unprotected? Maximize revenue by protecting your outdoor dining space with a stationary canopy. 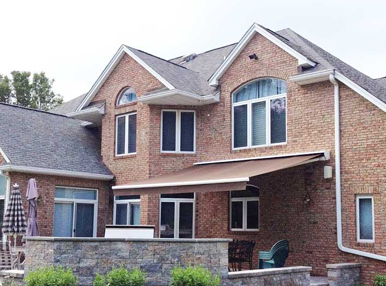 With numerous custom styles and shapes, these awnings are fixed in place to bring beauty to your exterior and provide reliable protection from the elements. Designed for patios and decks without a wall or structure to install to, our freestanding shading structures allow everyone to enjoy the outdoors longer. 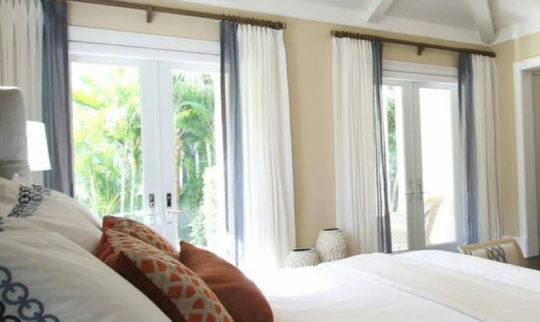 From blocking the glare of the sun to reducing interior temperatures to decreasing the fading of your furnishings, our custom window awnings provide the perfect solution. We LOVE our new awning at Home Again Design! 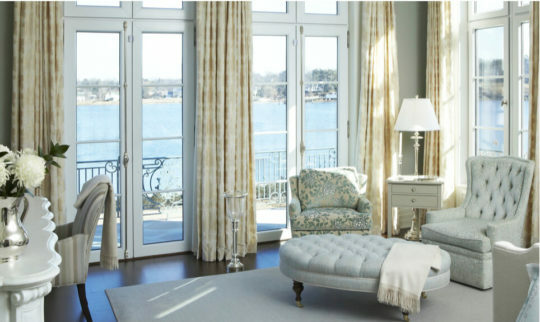 The staff at Window Works was professional and prompt throughout the entire process. The end product exceeds our expectations! !